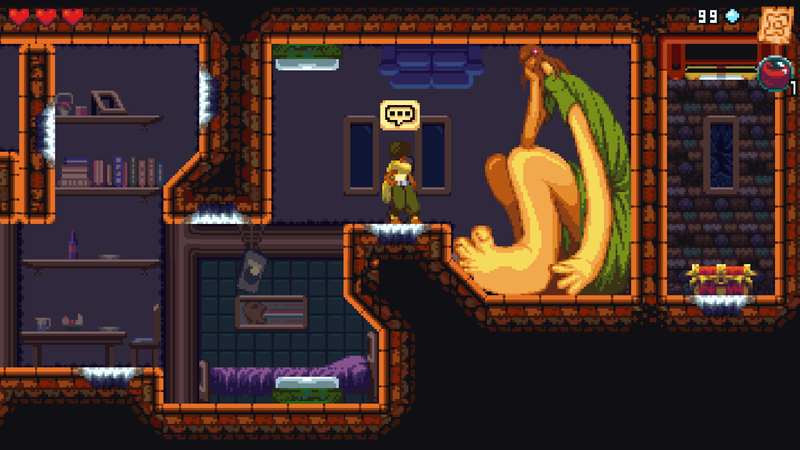 The beauty of Long Hat House's Dandara lies in its controls. 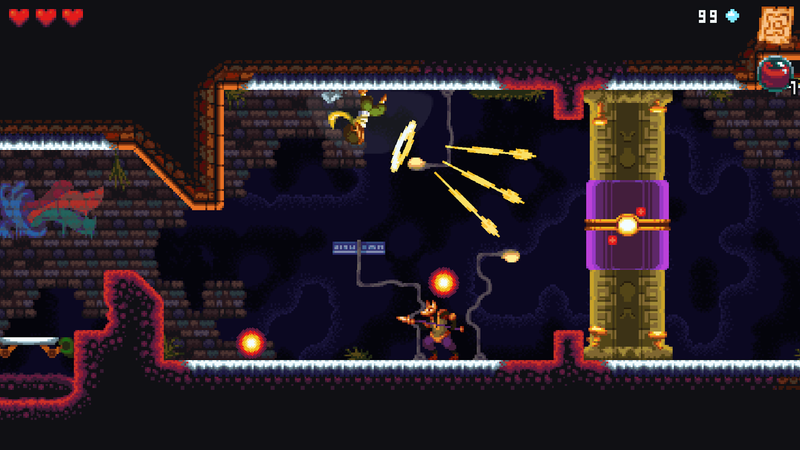 Since it exists as a metroidvania title that includes plenty of platforming gameplay, the use of a unique shooting mechanic for its movement makes it that much more palatable on touchscreen devices. It's refreshing how well this mechanic lends itself to mobile-centric gaming thanks to how precise your movements can be. And honestly, it allows Dandara's level design and gameplay to shine just as much as they would on any other platform. 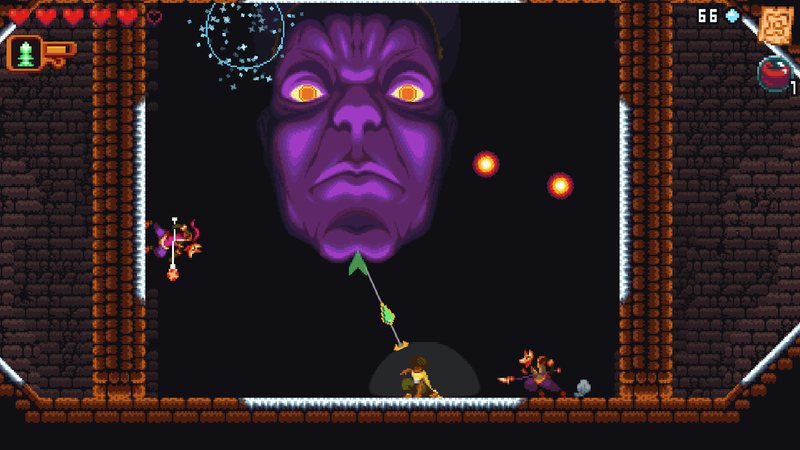 As you can see from the trailer above, Dandara is indeed a 2D pixel-art metroidvania that uses unique gravity-defying mechanics for its movement. What is so great about this is how easily you can navigate the game's world. Simply use your right thumb to control the digital joystick until you see a green indicator. Line up that indicator with where you want to go, then take your thumb off the screen and watch as the character flies towards your intended location. It's intuitive and works better than I expected. Like most metroidvanias you will be traversing across a vast and detailed world filled with puzzles to solve and power-ups to equip. As you would expect those powerups will be used to access new areas that were previously unreachable. As the map expands, this cycle continues. In order to break up the monotony, you will have to try your skills against a range of boss fights. These can be quite challenging, so be prepared. Now, the touchscreen controls may be fantastic, but that doesn't mean it's the preferred way to play. Even the developer suggests using a physical controller. I would imagine this is recommended so that the later more intense levels and boss fights can be navigated with ease. Luckily controller support is mentioned in the game's Play Store listing. Sadly I have found that my trusty Logitech F310 is not recognized properly, so I was unable to test how well the HID controller support works. 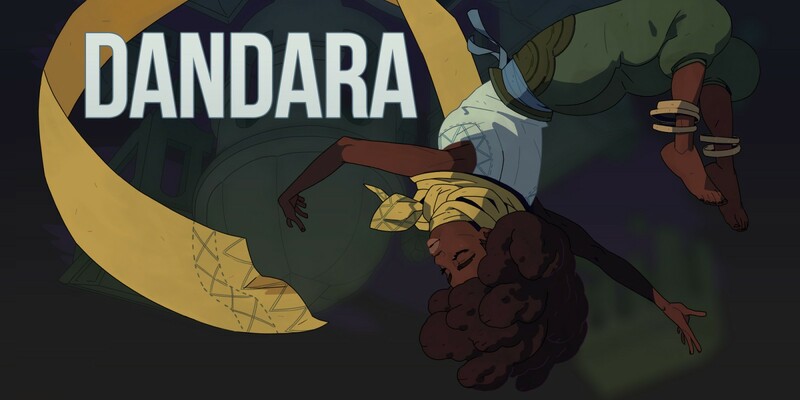 Oh, and it's definitely worth mentioning that Dandara is a premium release. There are no advertisements or in-app purchases to ruin the experience. Of course, the $14.99 price tag may be a bit too much for the majority of Android gamers out there. Especially if you take a look at the Steam pricing, which is actually 10% cheaper than the Android port thanks to it being on sale for the initial release. If you happen to be looking for a metroidvania to work your way through on Android, there really aren't that many options available. This is one reason I am willing to deal with the expensive upfront cost of Dandara. The devs have the market cornered more or less, thanks to the fact that they figured out a control scheme that will work acceptably on a touchscreen. Now I can't say everyone else should do the same as me and spend 15 bucks on this game, but I've been enjoying my time with it, which is really all I can ask.